In United States v. Bohannon, No. 14-4679 (RR, RCW, CFD), the Second Circuit held that when the subject of an arrest warrant is arrested at a third party’s residence where he is a guest, his Fourth Amendment privacy rights are satisfied so long as the arresting officers possess (1) a valid arrest warrant for the subject, and (2) reason to believe that the subject is on the premises. In so doing, the Court declined to require law enforcement officials to take the additional step of obtaining a search warrant for the third party’s residence in order to arrest the suspect guest. This was an interlocutory appeal after the district court suppressed evidence seized incident to the defendant’s arrest. While the panel affirmed the district court’s legal analysis on an open question of search-and-seizure law, it reversed the suppression order after a close analysis of the relevant facts. Bohannon presented a fact pattern reminiscent of a final exam in a law school criminal procedure course. The defendant, who is awaiting trial in the District of Connecticut before Judge Hall on felony drug and weapons charges, is alleged to have been part of a narcotics and firearms trafficking ring in Bridgeport, Connecticut. Law enforcement officers had obtained an arrest warrant for Jonathan Bohannon and more than a dozen of his associates in the enterprise. In the early morning hours on the day the arrests were scheduled to take place, officers concluded that Bohannon was not at his home. Instead, in reliance on both real-time data from Verizon Wireless based on Bohannon’s cell phone usage and on prior intelligence gathered throughout the course of a two-year investigation, law enforcement officers believed that Bohannon was at the residence of a third party named Shonsai Dickson. Armed with an arrest warrant for Bohannon, but with neither an arrest warrant for Dickson nor a search warrant for her residence, law enforcement officers entered Dickson’s home and placed Bohannon under arrest. In the course of arresting Bohannon, the officers observed bags containing what appeared to be crack cocaine and found a substantial amount of cash in Bohannon’s pants pockets. Bohannon moved to suppress the evidence seized from Dickson’s apartment as fruit of an unlawful entry into her residence. In support of this contention, Bohannon relied on two Supreme Court cases which established certain bedrock principles of criminal procedure and Fourth Amendment law. First, he argued that under Steagald v. United States, 451 U.S. 204, 222 (1981), while the arrest warrant would have allowed law enforcement officers to enter Bohannon’s residence to effectuate his arrest, that warrant did not authorize entry into a third party’s residence. Rather, Bohannon maintained, to satisfy Steagald, law enforcement officers could not lawfully enter Dickson’s residence without a search warrant for that residence. Second, he argued that even if the arrest warrant provided officers with the authority to enter Dickson’s apartment and apprehend him, the entry, arrest, and seizure were nonetheless unlawful because the officers did not have “reason to believe” that Bohannon was in Dickson’s apartment at the time in question. See Payton, 445 U.S. 573, 603 (1980) (enunciating “reason to believe” standard). The district court rejected Bohannon’s Steagald argument, reasoning that Steagald was focused on protecting the rights of the third-party resident not named in the arrest warrant rather than the subject of the arrest warrant who happened to be located in the residence of a third party. However, the district court ruled that law enforcement officers at the time did not have reason to believe that Bohannon was at Dickson’s residence; accordingly the court suppressed the drugs and money seized incident to Bohannon’s arrest. On appeal, the Second Circuit agreed with the district court’s analysis of the Steagald question, but disagreed as to whether the officers had sufficient reason to believe at the time of the arrest that Bohannon was at Dickson’s residence. In a thorough opinion for the Court, Judge Raggi delineated the differences between the Steagald and Payton inquiries. Payton held that where the arresting officers have a valid arrest warrant, it is “constitutionally reasonable” for those officers to demand that the subject of the warrant permit them to enter his residence. 445 U.S. at 602-03. In other words, the Payton Court determined that “an arrest warrant founded on probable cause implicitly carries with it the limited authority to enter a dwelling in which the suspect lives when there is reason to believe the suspect is within,” id. at 603, and a separate search warrant is not required. Steagald clarified that the Payton rule does not apply to a third party who is prosecuted based on evidence seized from his home during the execution of an arrest warrant for a suspect believed to be in the third party’s residence. See 451 U.S. at 213-14, 222. The Steagald Court held that as to the third party, the arrest warrant for the suspect does not provide sufficient Fourth Amendment protection, and a search warrant for the third party’s residence is required. Bohannon sought refuge in the gap left between these two cases. As Judge Raggi put it, “Bohannon, the subject of the arrest warrant executed in Dickson’s home, . . . invokes Steagald to argue that his Fourth Amendment rights were violated because Dickson’s home was entered without a search warrant.” The Court declined Bohannon’s invitation to extend the reach of Steagald. As Judge Raggi noted, Steagald was focused on the rights of the third party, not on the rights of the subject of the arrest warrant. 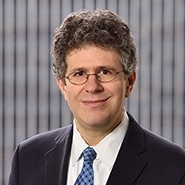 Further, not only would Bohannon’s reading of that case run counter to the principle that “Fourth Amendment rights are personal and cannot be asserted vicariously,” but “requiring police who already hold an arrest warrant for a suspect to obtain a search warrant before they can pursue that suspect in a third party’s home would grant the suspect broader rights in the third party’s home than he would have in his own home under Payton.” Such an outcome is counter-intuitive given the Fourth Amendment’s grounding in the common law principle that “a man’s home is his castle.” In so holding, the Second Circuit joined eight of its sister circuits, which had previously rejected similar arguments under Steagald. While the Second Circuit agreed with the district court’s analysis of the Steagald question, it disagreed with Judge Hall’s fact-intensive conclusion that the arresting officers lacked the requisite “reason to believe” that Bohannon was located at Dickson’s apartment at the time of the arrest. In this portion of the opinion, Judge Raggi thoughtfully parsed the similarities and differences between Payton’s “reason to believe” standard and the more familiar “probable cause” standard. After acknowledging a circuit split as to whether the reason-to-believe standard is less exacting or functionally equivalent to the probable-cause standard, Judge Raggi concluded that she and her fellow panelists were bound by an earlier Second Circuit decision which concluded that the reason-to-believe standard was less “stringent” than probable cause. See United States v. Lauter, 57 F.3d 212, 215 (2d Cir. 1995). Applying this less exacting standard, and borrow from the Circuit’s precedent applying the reasonable-suspicion standard—a third related, but not identical, legal standard—the Court concluded that the arresting officers had sufficient reason to believe that Bohannon was located at Dickson’s apartment at the time of the arrest. The panel pointed to several different pieces of evidence consistent with Bohannon’s presence at the apartment, including real-time data from Verizon Wireless gathered from Bohannon’s cell phone usage just hours before the arrest, and human intelligence gleaned from a two-year investigation which linked Bohannon to Dickson’s address. While the district court had found each of these individual pieces of evidence insufficient on its own to establish Bohannon’s presence at the apartment, the Second Circuit advocated a more holistic, totality-of-the-circumstances approach. To this end, the Court noted that district courts should not “discount facts one by one,” and that “segmentation and minimization of individual pieces of evidence fail to conform to the principles of reason-to-believe review.” Having found the Payton reason-to-believe standard satisfied, the Court vacated the pertinent portion of the district court’s suppression order, and remanded the case to Judge Hall. The criminal law may in some sense be narrow, but it is also deep, and Bohannon resolves what somehow remained an open question in this Circuit. At first glance, Bohannon’s import seems limited to arrests carried out in connection with traditional street crimes. Yet in light of the authorities’ increased use of so-called “alternative” means to conduct white collar investigations, it is not hard to envision a scenario in which the subject of an arrest warrant for a white collar crime is arrested while at the residence of a friend or associate and that the person is in possession of documents or electronic devices that contain evidence. In that circumstance, Bohannon confirms that so long as the arresting officers have reason to believe that the subject of the arrest warrant is at the third party’s residence, the subject of the arrest warrant cannot invoke Steagald to complain that a search warrant should have been obtained.